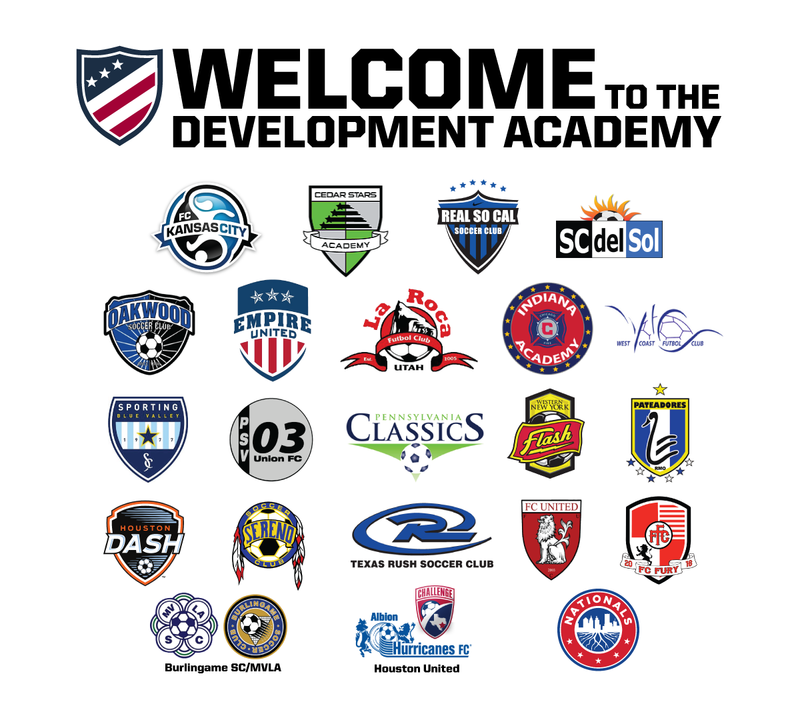 U.S. Soccer has announced that Empire United are amongst the 74 clubs to participate in the Girls' Development Academy. The program is designed to accelerate the development of world-class female players and will begin play in the fall of 2017. The Academy program will focus on positively impacting everyday club environments to maximize elite female youth player development. Increasing the training to game ratio, playing fewer but more meaningful games and providing assistance for coaching education and development are just some of the standards and best practices the program will promote. The program will feature three combined age groups: U-14/15, U-16/17 and U-18/19. Clubs will be expected to train a minimum of four times per week. The combined age groups will require clubs to form teams with a balanced roster of players from two distinct birth years and encourage clubs to provide “play up” opportunities. The games will be scouted by U.S. Soccer and the program will serve as the primary pathway to U.S. Soccer’s Youth National Teams.